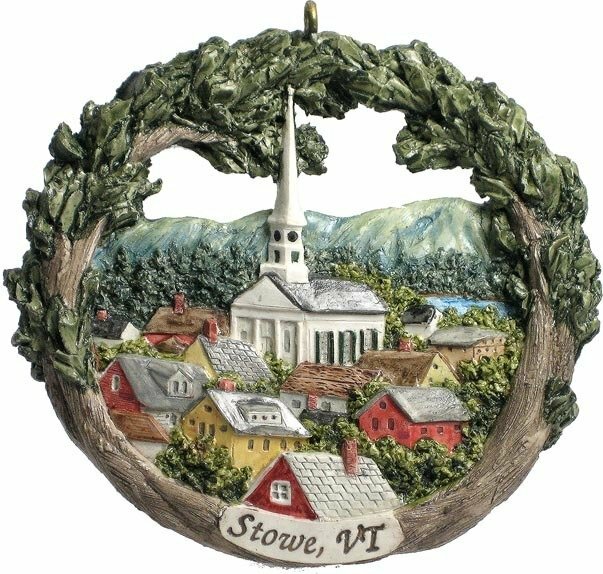 Founded over 200 years ago, beautiful Stowe, Vermont is home to the world reknown ski and sport resort, Stowe Mountain Resort. The AmeriScape ornament is our signature creation. Each wonderfully detailed ornament is individually handcast and hand-painted by Hestia's dedicated artisans, and can truly be considered a work of art. They are 3 1/2" in diameter, made of bonded marble dust, and weigh approximately 3 ounces.place, event or scene around us.